Welcome to Canada’s First Casino, Diamond Tooth Gerties Gambling Hall! 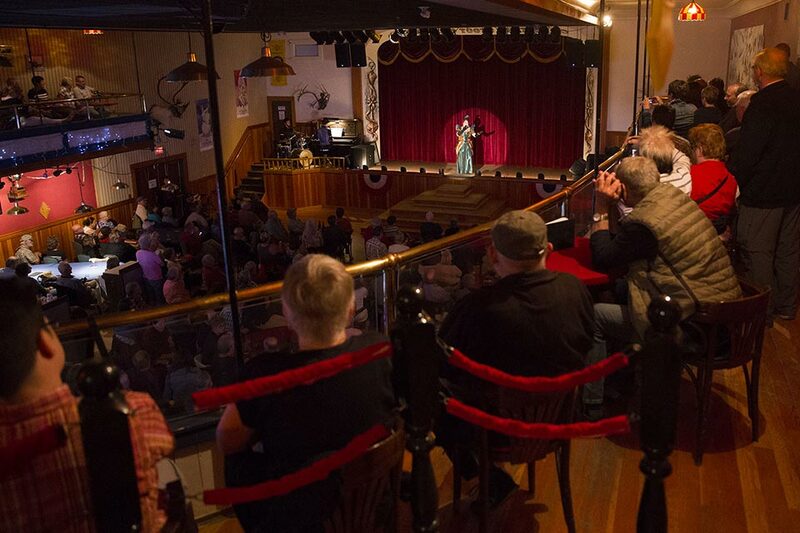 Since 1971, Diamond Tooth Gerties has been wowing visitors with it’s unique Klondike period style, can can entertainment and friendly charm. One visit and you’ll know why we’re a Casino like no other! Gerties is operated by the Klondike Visitors Association (KVA) and all proceeds are re-invested in the community. 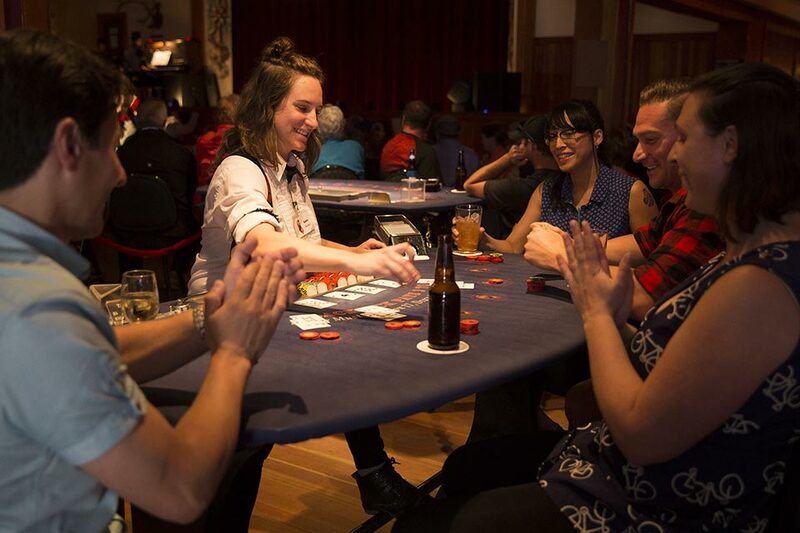 For a “whooping good time,” visit us at Canada’s first (and friendliest) licensed gambling hall and experience a night at the saloon just like the original stampeders! 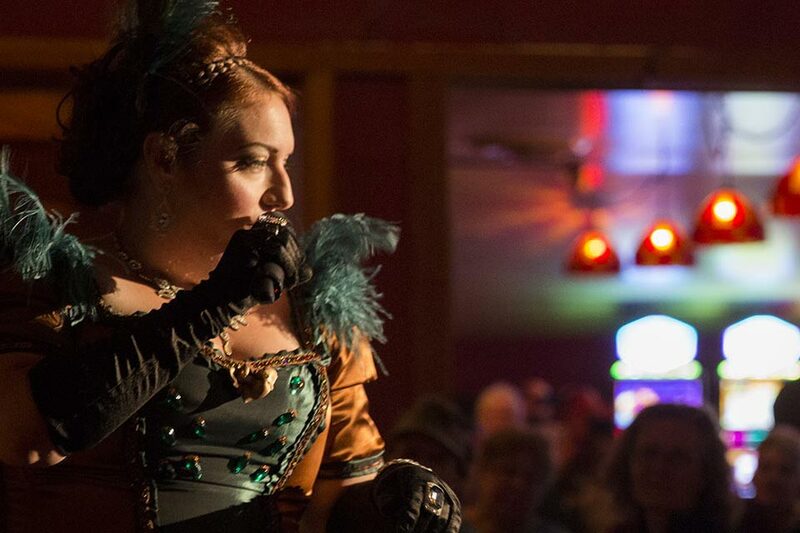 Complete with casino games, nostalgic tunes, and three different cancan-inspired shows, it will be a night on the town that you won’t soon forget! Lucky summer visitors will be hosted by Diamond Tooth Gertie herself, who will blow you away with her powerhouse vocals and cheeky conversation. 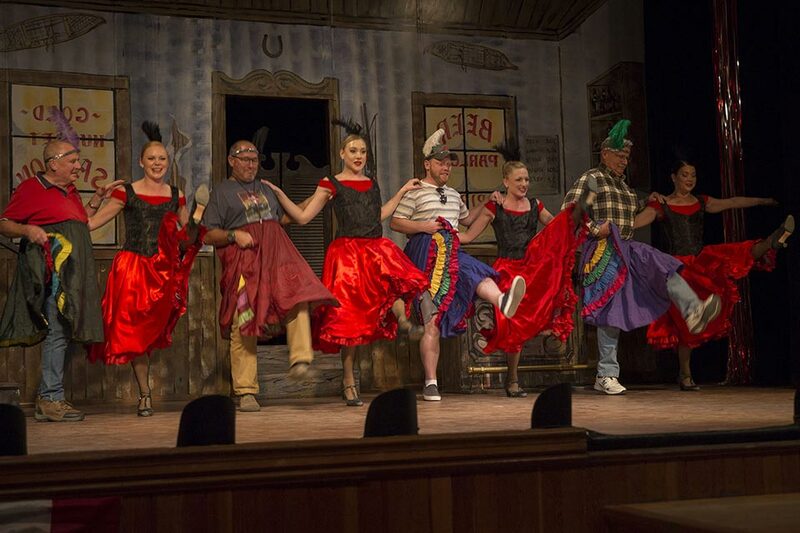 If that’s not enough, the high-kicking antics of her “Gold Rush Girls” will have you dancing in your seats. Open 7-days a week, from May to September and selected weekends throughout the year. You must be nineteen years of age to enter and have valid ID.